PETS stock about -53.85% away from the 52-week high and closed ... Price earnings ratio (P/E) ratio of PetMed Express, Inc. (PETS) is 10.77. 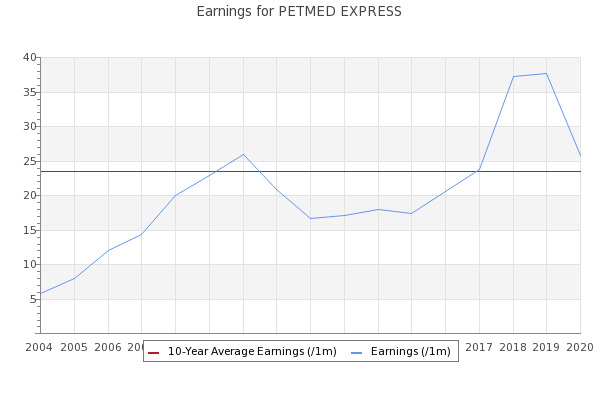 PetMed Express, Inc. (NasdaqGS:PETS) has a Value Composite score of 22. The VC score is displayed as a number between 1 and 100.